In the introduction to the article "Living the United Methodist Way,” it notes, “Methodism began as a movement of spiritual renewal within a national church marked by much nominal commitment and spiritual lethargy. Early Methodists adopted a Way of living in covenant with Christ and one another that yielded rich spiritual fruit in their lives and in their engagement with the world.” Today in the United Methodist Church, we continue in the spirit of the movement begun over 200 years ago. In fact, John Wesley might argue we are continuing in the spirit of the movement Jesus began 2,000 years ago! Spiritual formation is at the very heart of the Methodist movement. 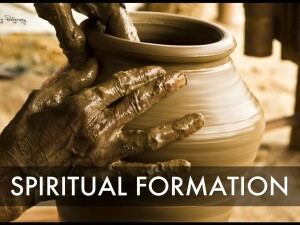 Dr. Bob Mulholland describes spiritual formation as, “…the process of being conformed to the image of Christ by the gracious working of God’s Spirit, for the transformation of the world.” The methods which made Methodism such an amazing vehicle of transformation were bound up in the covenant relationship we make with Jesus Christ and in the covenant relationships we make as the people of Christ’s body. The North Georgia Annual Conference is providing links to materials to encourage individual and congregations in this process of formation. At the same time, we are seeking to provide Christians access to opportunities where we each can experience the working of God’s grace so we might become more like Christ and be part of the Spirit’s transformation of the world! Are you looking for help in your personal or family spiritual formation? Are you looking for resources for small groups? Looking for a weekend retreat opportunity to grow in faith? Do you seek a spirituality deeply rooted in the Christian faith and tradition? Would you like to learn more about living the United Methodist Way? Are you seeking personal spiritual direction? Hearts on Fire: The Fellowship of United Methodist Spiritual Directors and Retreat Leaders. This is the professional organization of UM Spiritual Directors. and in the covenant relationships we make as the people of Christ’s body. part of the Spirit’s transformation of the world! • Are you looking for help in your personal or family spiritual formation? • Are you looking for resources for small groups? • Looking for a weekend retreat opportunity to grow in faith? • Do you seek a spirituality deeply rooted in the Christian faith and tradition? • Would you like to learn more about living the United Methodist Way? • Are you seeking personal spiritual direction? Hearts on Fire: The Fellowship of United Methodist Spiritual Directors and Retreat Leaders.